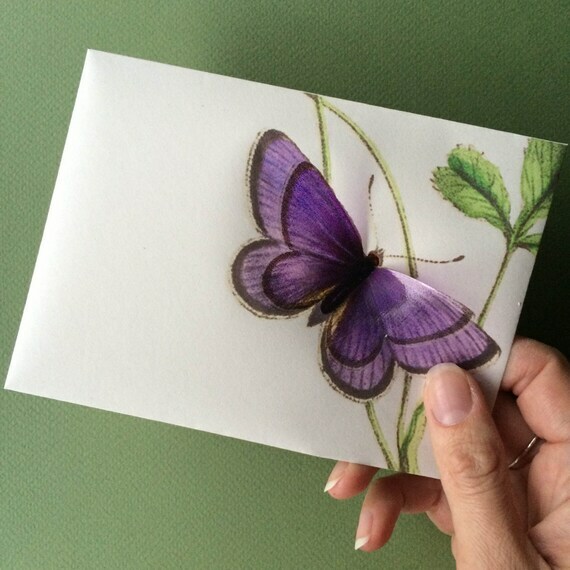 Handmade butterfly art card with matching envelope. I printed high quality recycled paper (looks ivory not grey), handcut and finished envelope with transparency film (acetate). Patience and love! Envelope measure about 15 x 11 cm. Card measure about 14 x 10 cm. This card is great for a birthday, to say “Thank you!”, “I LOVE YOU” or to say anything you want on any occasion to someone you care for. 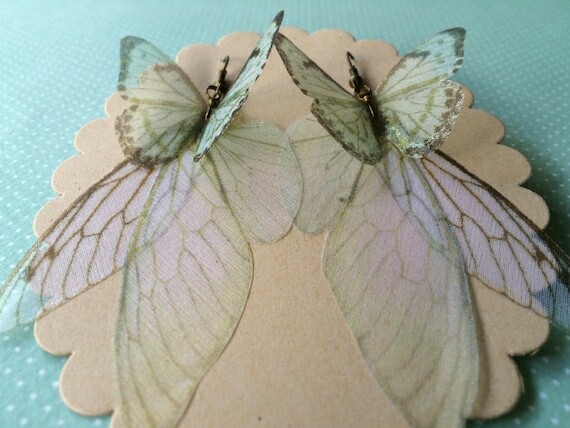 There are 6 butterflies and wings on each earring, and every one measure about 9 x 5 cm. Completely hand-made hair comb, with silk organza butterflies and wings. Perfect on your wedding day (or everyday) ! 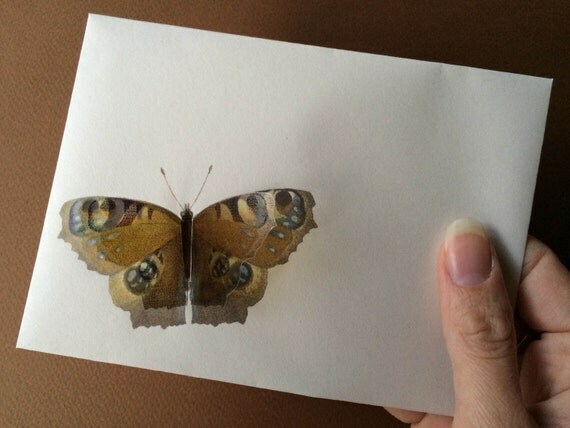 I chose butterfly images one by one, from real pictures and vintage illustrations. 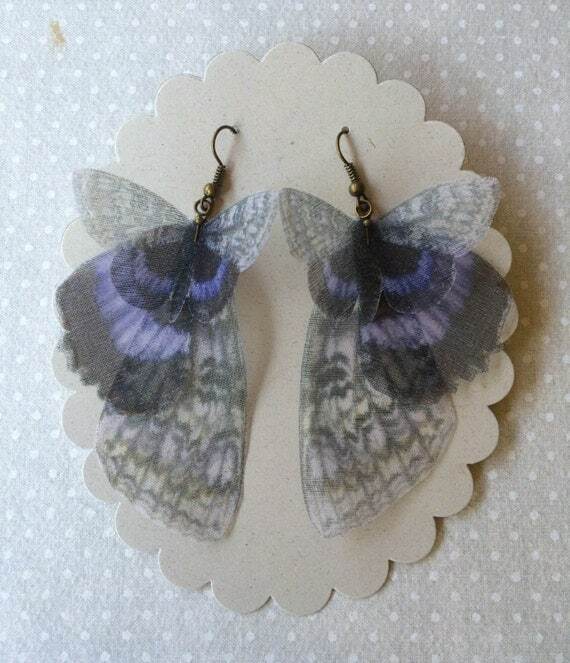 Then I printed them on high quality silk organza, cut and fixed on an antique bronze hair comb. Feminine.. ethereal.. light.. and romantic. Simply beautiful! OOAK. Please pay attention when you wear the hair comb. It is very delicate. Don’t stretch butterflies. Butterflies can’t be washed but they are waterproof. However don’t spray perfume or hair products over them. 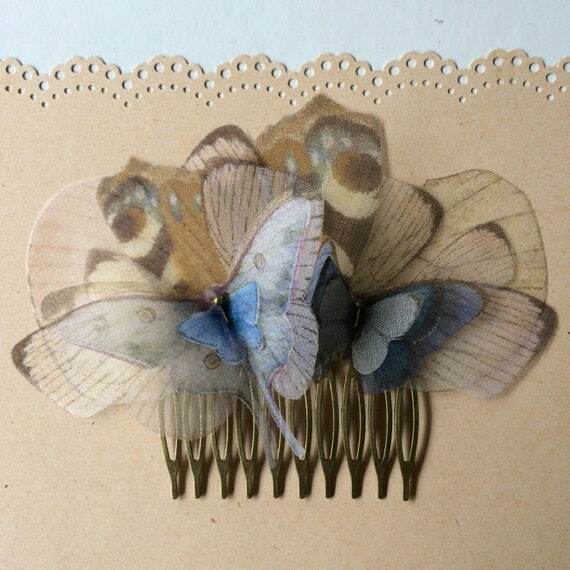 There are about 18 butterflies (and wings) on this hair comb, and each one measure from 3 to 6 cm. I can also customize it as you prefer!